One size adjusts to accommodate dogs from 50-110 lbs. 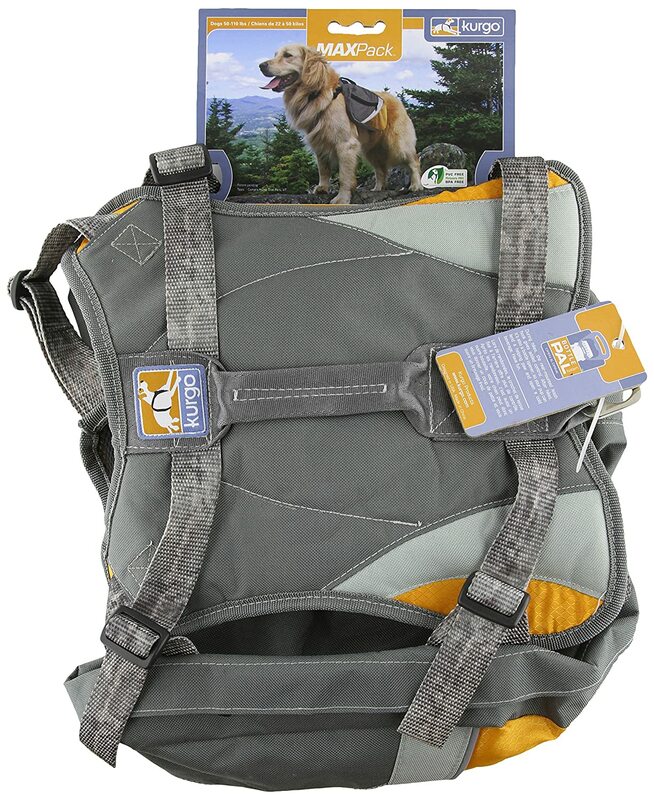 This dog backpack accommodates larger breeds and is great for hikes, walks and runs. The adjustable saddle bags on either side come complete with 2 different size pockets. One size adjusts to accommodate dogs from 50-110 lbs. Includes chest and back padding for comfort. Rear-mounted leash hook for added control, with integrated bottle opener.